Due to its dense build-up and unrivalled versatility, slab insulation is one of the most common ways to increase a properties thermal efficiency. Insulation slabs are truly multi-use, with them being suitable for wall, floor and roof applications. This allows you to minimise the U-value of your property and meet the demands of national building regulations without having to utilise a variety of different insulation types. Insulation slabs utilise proven materials to provide both thermal and acoustic insulation. These materials include mineral wool, which is shown to prevent eat from escaping from the outer extremities of your property. Rockwool, Knauf and Superglass have combined these materials with innovative designs to offer the utmost protection from thermal leakage and sound transmission. 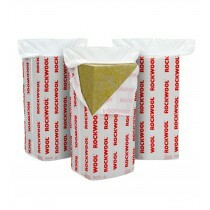 For example, the Rockwool Flexi features a patented flexible edge to ensure a snug fit for years to come. This brings an end to cold sports or poor acoustics. The rigidity of slab insulation allows it to be used in virtually any part of your property. This includes external walls, internal partitions, intermediate floors, suspended floors, and pitched roofs to name a few. Due to these slabs being ideally sized, you needn’t worry about having to cut them down on-site. On the rare occasion you do, however, you will simply require a fine tooth saw and appropriate protection. 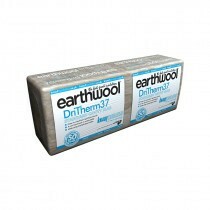 This makes installing insulation slabs hassle-free for both tradesman and homeowners. Preventing the spread of fire through your property is of the utmost importance. Manufacturers have therefore committed to using non-combustible materials to craft their slab insulation. This has resulted in many receiving Euroclass A1 accreditation. This provides you with the utmost confidence in your choice of insulation and allows you to sleep comfortably with the knowledge that your property is safe. The fire performance of slab insulation does not only combat the spread of fire, but as increases the escape time and reduces damage as a result. Have More Questions About Our Slab Insulation? If you have more questions about our range of insulation, simply speak to our team online or by telephone. We will be able to help you pick the ideal slab insulation for your project, whether you’re aiming to minimise your U-value or maximise acoustic insulation. Slab insulation is amongst the most effective way to increase the thermal efficiency of your property whilst minimising sound transmission. 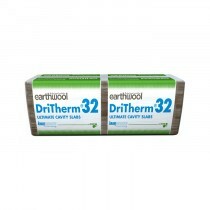 This is due to them being ideal for virtually any use, whether you're insulating your loft or floors. There are, however, a few common questions our customers ask before buying this insulation. Below are answers to each of these! What is the U-value of Slab Insulation? This can vary for each insulation slab, as different materials and build-ups achieve varying U-values. 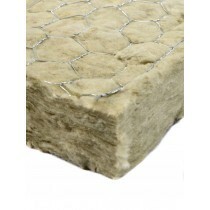 Where possible, we display the U-value of each insulation slab on the product page. However, you can not achieve the U-value required in your region through the insulation alone. This is as the U-value you achieve is determined by all the materials used on your roof, walls or floor. You can learn more about U-values by clicking here. We supply slab insulation from various manufacturers. 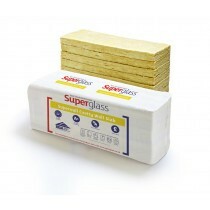 These include Knauf, Superglass and Rockwool. Each are widely recognised for their innovative materials and their products are used on thousands of properties across the country. We recommend choosing your insulation based upon the thermal efficiency, accoustic performance and material. This is as each of our insulation slabs offer unique features and capabilities. Which Insulation Slabs Are Best Suited for My Project? The insulation you require is determined by local building regulations and the other materials used in your property. We therefore recommend consulting a qualified tradesman or contacting a insulation manufacturer. They will be able to recommend the appropriate build-up of materials based upon the required U-value. They will then confirm the exact insulation slab you require, which you will be able to easily find on our website or by contacting our team. If you have mopre questions about our insulation, simply speak to our team online or by telephone. We will be able to help you pick the ideal slab insulation for your project, whether you’re aiming to minimise your U-value or maximise acoustic insulation.